Top10 ways marketers are using the second screen | Marketing magazine. The ‘second screen’ is quickly becoming a golden marketing opportunity, as consumers increasingly multi-task while watching TV with their smartphone or tablet. Using it to complement the TV experience is becoming increasingly common as live events or telecasts engage their audiences in ‘social TV’ and advertisers attempt to capitalise on a ‘media multiplier’ effect in real time by referring viewers from TVC to the device in their hands. This profileration of screens is creating intriguing new possibilities for TV broadcasters and marketers alike, JWTIntelligence writes in this top 10 taken from the agency’s trend briefing. JWT’s report was compiled from research conducted throughout the first half of the year, and supplemented by interviews with experts from Shazam, TVexchanger.com, MIT and Participant Television. Big annual events like the Super Bowl and the Grammys have been garnering more viewers and buzz as social media and second screens create a digital watercooler. Brands are catching the attention of viewers whose attention is split between screens in various ways. Coca-Cola created commercials featuring its animated polar bears for this year’s Super Bowl, then extended the idea into a second screen ‘Polar Bowl’: Two bear viewers (one rooting for the Giants, another for the Patriots) reacted to the game, the halftime show and the commercials in near-real time. The bears also commented via @CocaCola on Twitter. While the brand had planned for 300,000 concurrent live stream viewers, more than double that number had the stream open by the third quarter, with viewership growing as more people mentioned the Polar Bowl on Facebook and Twitter. If you can’t see the videos below, please refresh this page. Mobile apps open up opportunities to reward TV viewers for watching commercials or second-screen branded messaging – incentives range from freebies and coupons to relevant content like recipes – and even lead them right into an opportunity to purchase. Unilever’s Dove Men+Care used Viggle, the app that rewards users for watching TV shows, during the NBA’s ‘March Madness’. When viewers checked in to broadcasts of the college basketball games, they were directed to a Dove Men+Care landing page that offered extra Viggle points for watching Dove’s ‘Journey to Comfort’ videos, featuring three basketball legends. The landing page included live tournament stats and an Amazon ecommerce link. Another way to incentivise viewers to not only keep watching ads but more actively engage with them is by adding second-screen gaming elements that are either fun for their own sake or tied into contests and sweepstakes. In 2011, Coca-Cola created Chok, an app for the Hong Kong market that turned users’ phones into a mechanism for collecting virtual bottle caps. When signaled by the music in a Coca-Cola TV commercial, the app opened and synced to the ad, then prompted consumers to shake the phone (‘chok’ is Cantonese for this action). Using the device’s accelerometer, the app measured the vigor of the motion and doled out bottle caps accordingly. These could be used to enter an instant drawing for prizes big and small, including digital goods like mobile games. Within 15 hours of launch, Chok became the number one free app. Instead of simply asking interested or intrigued viewers to visit a microsite or Facebook page after seeing a TV commercial, marketers can use second-screen apps like Shazam to quickly link consumers with a campaign’s online elements and provide simple ways to share their enthusiasm via social media. A 2011 Australian campaign for this Unilever ice cream brand was themed around the Enigma bear mascot helping consumers to “reveal their soft side”; the microsite let Australians send a personalized message via the bear to ‘someone special’. Shazaming the TV spot led viewers directly to a mobile version of that site. Simultaneous watching and shopping, with instant gratification for consumers and measurable results for brands, is an old idea that never quite came to fruition beyond home shopping networks. New technology looks to be changing that. While the second screen isn’t vital here, mobile apps offer an easy route to purchase. This could be through a TV spot that syncs to e-commerce options on mobile devices or by using the second screen to surface info on how to buy in-show products. Watch With eBay, the US app lets users ‘shop your favorite shows’. You input your zip code and cable provider to set it up, then enter the channel number in order to see live auctions linked to what’s on-screen. In theory, the app brings up products related to the TV content: a basketball jersey during March Madness, a Jessica Simpson brand T-shirt during the showFashion Star. In practice, however, it turns up just as many unrelated items (Ringer, for example, summoned a bounty of ringer T-shirts; Fox’s Bones turned up unaffiliated Bones brand skateboard wheels). eBay ultimately aims to match up its listings with specific items viewers are seeing (or lookalikes) by accessing a product database that various shows would provide. A secondary feature, ‘Shop Like a Star’, allows app users to choose from among an actor’s favorite eBay categories, with purchases benefiting the celeb’s favorite charity. By either partnering with existing tools like Shazam or piggy-backing off custom TV show apps, brands can sponsor novel second-screen experiences for fans. The US version of The X Factor, which airs on Fox, added a synchronised Xtra Factor mobile app last September that’s ‘presented by’ Verizon. Fans can rate performances, interact with other viewers and access bonus content such as song lyrics. Consumers with a Verizon Android handset can vote for their favorite contestants as often as they want, see backstage goings-on via Verizon Live View and watch episode highlights. Sports programming is often cited as ‘low-hanging fruit’ when it comes to social TV and the second screen: Fans are especially interested in supplemental information and a group-viewing experience. This Star Player app from Heineken, launched in 2011, provides a second-screen gaming experience for the soccer fan without distracting from what matters most: the match. The Star Player allows viewers of UEFA Champions League games to interact with the action in real time (and, with the latest update, in eight languages), syncing with the game clock when the match begins. Users then earn points by predicting game events such as goals and corner kick outcomes and by answering questions during periodic pop-up quizzes. Players compete against friends, in a mini-league, and can also check their rank against all the app users. ‘Dwell time’ with the app has averaged 56 minutes. Adding hashtags to ads, increasingly common practice over the past year, is one of the most basic ways to extend an ad beyond 30 seconds and one channel. An Accenture study conducted in March found that 18% of the US consumers surveyed had noticed a hashtag in an ad and that 7% had then searched for the hashtag on Twitter. Super Bowl, which featured an array of hashtags during the commercials, the automaker ran a spot promoting its daylight-simulating LED headlights. A group of young vampires partying outdoors at night is incinerated by an Audi’s bright lights; #SoLongVampires was the hashtag. Viewers who entered the hashtag in Google rather than Twitter saw an ad for Audi’s ‘Vampire Party’ on Facebook. Letting viewers directly influence live big-screen content, beyond simple voting tools, is an intriguing concept that we’ll see broadcasters starting to experiment with (there’s great potential for game shows), along with marketers. In late April, a trailer for the Ridley Scott film Prometheus featured the hashtag #areyouseeingthis. Nothing all that new about hashtags in ads. But these Sunday night viewers had added incentive to tweet: During the next commercial break, a 40-second spot showcased some of the tweets the first ad had elicited. At one point that evening, the hashtag was the number two trending topic in the UK. Transmedia – the practice of arcing story worlds over various platforms, with each thread tailored to the platform it lives on – is becoming a bigger buzzword with the proliferation of second screens. These can serve as a key entry point for consumers seeking deep engagement, with different channels communicating different things. Watch for marketers to experiment with opportunities here. For instance, Shazam’s Evan Krauss says we’ll soon see ‘Shazamable’ movie ads that provide an ‘interactive panorama experience’ on the second screen, enabling viewers to feel they are walking through a scene in the film. Red Bull sponsored a backcountry freestyle snowboarding competition that was ‘Shazamable’ when it aired on NBC in March. Shazam users could access point-of-view footage for several competitors, enabling them to see both the wide view on the big screen and the snowboarder’s own dizzying perspective on a second screen. Shazam also linked app users with related social media streams. 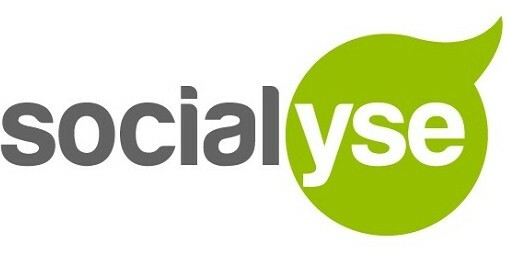 10 of the best social media campaigns from 2012 | Econsultancy. Measuring the efficacy of social media marketing still isn’t an exact science, regardless of what the gurus and ninjas tell you. So how can we whittle all the thousands of social campaigns we’ve seen this year down to a definitive list of the ’10 best of 2012′? Do we gauge it on the number of new fans acquired, retweets, ROI, YouTube views, the number of people it reached, sentiment analysis, the amount of traffic it drove or maybe the number of new brand advocates it created? The answer is any of the above and any number of other social metrics, so for this list I’ve instead gone for the campaigns that I found to be most memorable, innovative, or downright funny. Nike is known for using guerrilla marketing tactics to try and steal the limelight from its competitors, and during the London Olympics it managed to outshine official sponsor Adidas with a massive billboard and social campaign around the capital. Nike eschewed the usual celebrity endorsements in a campaign that celebrated everyday athletes. 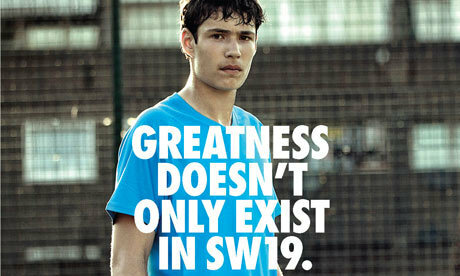 It bought up hundreds of billboards around the city featuring the hashtag ‘#findgreatness’. I became aware of this campaign thanks to Vivienne Egan’s excellent blog post about why it’s achieved such huge viral success. The video is a catchy tune created by a public transport authority in Melbourne, Australia, aimed at raising awareness about railway safety. I don’t know whether it will actually prevent any train accidents, but you’d hope that the video had an impact on at least one of the 30m people who have watched it since it went live two weeks ago. Male grooming can be an expensive business, particularly when buying branded razors on a regular basis. Spotting a gap in the market, Michael Dubin set up Dollar Shave Club to provide men with new razors for just $1 a month. In this brilliantly quirky video Dubin describes his businesses service in the company’s warehouse amid increasingly bizarre scenes. It’s not only extremely funny, but also does a great job of convincing the viewer to sign up to Dollar Shave Club. Social media lies at the heart of Cadbury’s marketing activities, and we‘ve reported on a number of product launches this year that used Facebook and Google+. One of its most interesting social campaigns was to celebrate the brand reaching 1m Facebook fans. The challenge was to increase the engagement among its fans, as well as reaching friends of fans and the wider Facebook community. To test what content users would engage with, Cadbury decided to build a giant Facebook ‘like’ thumb out of pieces of Dairy Milk. It used teaser ads in the build up to the event, then live streamed in a studio decorated with user-generated content and photos. The team also responded to user requests and comments in the video. Back in May 20th Century Fox tried to tap into the viral power of Twitter to promote the release of Ridley Scott’s sci-fi movie Prometheus. A new three-minute trailer for the film was screened simultaneously online, on Channel 4 and on social TV app Zeebox. Viewers were then encouraged to tweet about the film using the hashtag #areyouseeingthis. 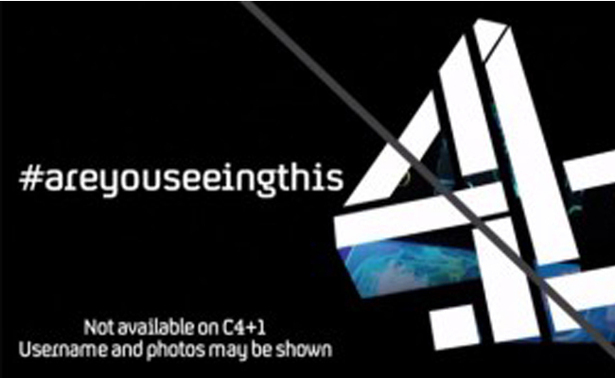 During the next ad break, Channel 4 screened a 40 second spot which included viewer’s tweets. Analysis from 1000heads shows that there was a spike in activity, peaking at around 4,000 tweets, with the campaign potentially reaching around 15m users. At the time I suggested that the reliance on traditional media meant that the campaign wasn’t particularly innovative, but I still think it’s a noteworthy example of a studio using social to promote a new movie. Old Spice is responsible for some of the most memorable viral campaigns ever created (“I’m on a horse”), and this year it ditched its Old Spice Guy character for an interactive video involving ex-NFL player Terry Crews. After watching a short video of Crews playing musical instruments by flexing his muscles, viewers could then use their keyboard to play their own tune. It has little to do with the product and everything to do with the brand, and has now clocked up 8m views on Vimeo. Heinz is another FMCG brand that frequently uses social to build excitement around its product launches. As part of the marketing activities around a new Five Beanz variety, Heinz created a Facebook quiz app that told people what kind of bean they had grown up to become in response to a series of questions about their personality traits. To encourage people to take part and share the app, five winners were picked every hour and sent a personalised bean and every user that invited 10 people to take the quiz was given a goodie bag. Heinz also offered Facebook fans a coupon so they could try the product. 22,143 took the quiz to apply for a personalised bean. More than 10,000 users shared the app. The campaign reached 10.8m people on Facebook. It reached 3m people reached outside of Facebook through Twitter, blogs and news sites. The Heinz Facebook community grew by 30,000 extra fans. Never one to endorse brands shamelessly chasing Facebook ‘likes’, I was in two minds whether to include this campaign on the list. However Heineken went beyond the usual “like us and we’ll give you a discount” tactic employed by many brands and instead offered to blow up one green balloon in its office for every new ‘like’ it got on its Brazilian fan page. Heineken even personalised the campaign by reading out the names of some of the users on YouTube. This is another great example of a fun, interactive campaign that is more about the brand than the product itself. It earned Heineken thousands of new fans and helped to improve brand awareness in an emerging market. A Belgian TV station setup a dramatic set piece in a town square to advertise a new TV station, involving a shoot out, fights and American football players. As is often the case with viral videos, you’re never quite sure whether the members of the public are indeed genuinely unaware of what’s going on, but you can’t really argue with 39m YouTube views. This video technically went live on YouTube at the end of December 2011, but I thought it was good enough to sneak onto the list anyway. A social media marketing campaign with a healthy budget – Mini asked people to describe the best test drive ever in six words. Matthew Foster came up with the winning entry and became the star of an ad to promote the launch of the new Mini Cooper. It’s had less than 700,000 views on YouTube, but contains stewardesses, salt flats, paratroopers, sushi and a random rock band name Falconer. What’s not to love? 5 Digital Tools to Boost Your Brand in 2012 [INFOGRAPHIC]. FredCavazza.net > Du SoLoMo au ToDaClo, quelles tendances pour 2012 ? Fred Cavazza: “Si l’on devait résumer l’année 2011, je pense que l’acronyme SoLoMo serait le plus populaire. Même s’il est indéniable que les médias sociaux et les terminaux mobiles ont complètement modifié les habitudes, l’internet d’aujourd’hui ne peut se résumer à ces trois notions. D’une part, car toutes les disciplines du web forment un grand ensemble et parce quel’avenir de l’internet est aux contenus, pas au SoLoMo. En matière d’innovation web, trois leviers me semblent particulièrement intéressants à exploiter (les interfaces tactiles, les données et le cloud computing) que je résume en ToDaClo (Touch /Data / Cloud). Pourquoi maintenant ? Parce que d’énormes progrès ont été faits récemment dans ces trois domaines. Ils offrent maintenant d’innombrables opportunités qui peuvent être saisies avec un minimum d’efforts et d’investissement. De compléter ces jeux de données en ayant recours à des places de marché de données comme Socrata ou la Windows Azure Data Marketplace.